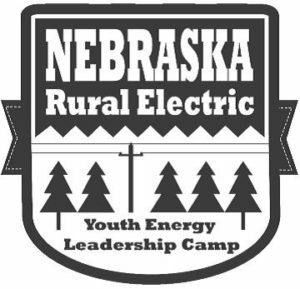 The Stanton County Public Power District sponsors selected high school students to attend the Youth Energy Leadership Camp in Halsey, Nebraska. 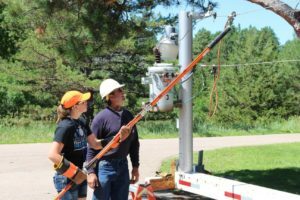 Any student in the Stanton County Public Power District service area that is currently in grades 9-11 can sign up to attend. Camp is generally held the third week of July. The camp is casual, yet educational. Participants will be offered the opportunity to grow socially and learn something important at the same time. Campers will see interesting workshops, fascinating demonstrations and presentations as well as have the chance to visit Gerald Gentleman Power Station and the Kingsley Hydro-Electric Power Plant. Other activities include, a dance and banquet, sporting activities, a cook-out, and time to make many new friends from all over the state. Applications are due by May 15 each year. Additional information available in the SCPPD office. If you have any questions please call the SCPPD office at 439-2228.